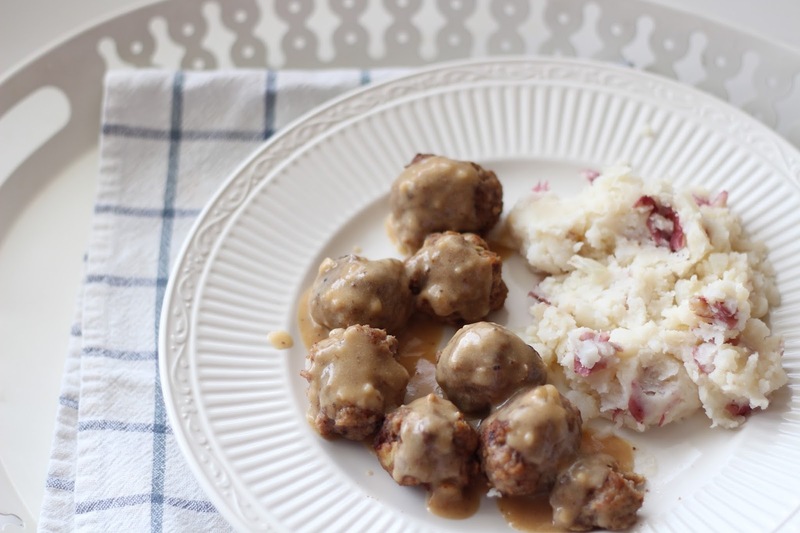 I love taking from other cultures to inspire my food palate and Swedish meatballs are the perfect addition to a well-rounded family dinner plan. It's comfort food, for sure and one of those meals, that makes you really grateful for home. Heat one tablespoon olive oil in a large skillet over medium heat. Add onion, and cook, stirring frequently, until onions have become translucent about 2-3 minutes. In a large bowl, combine ground beef, ground pork, Panko bread crumbs, egg yolks, allspice, nutmeg, and cooked onion. Season with salt and pepper, to taste. Using clean hands, mix together until well combined. 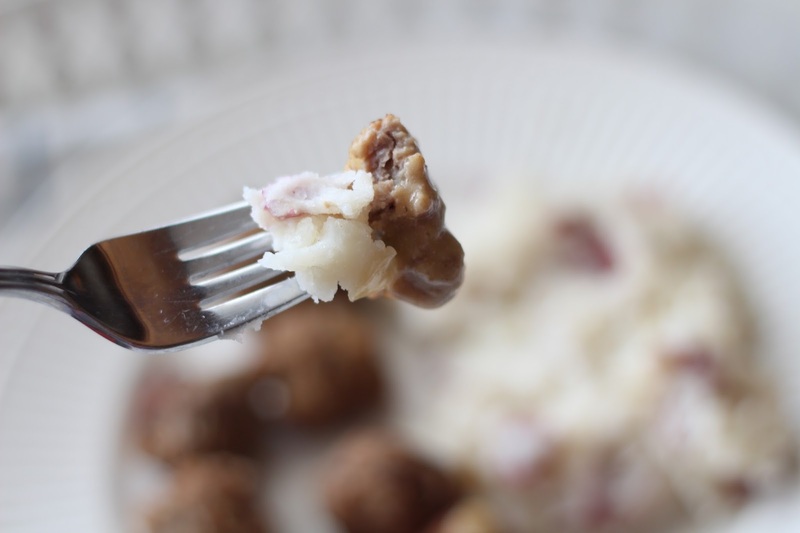 Roll the mixture into 1 1/4-to-1 1/12-inch meatballs, forming about 24 meatballs. Add remaining one tablespoon olive oil to the skillet. 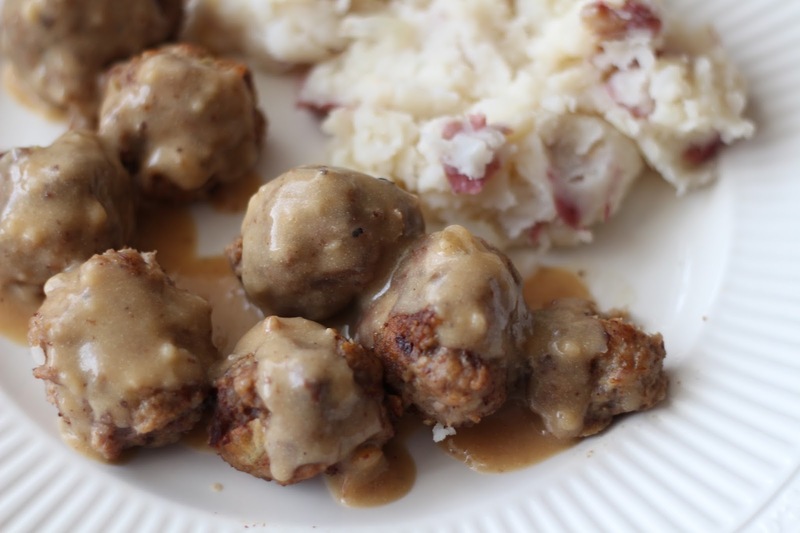 Add meatballs, in batches, and cook until all sides are browned, about 4-5 minutes. Transfer to a paper towel-lined plate and keep warm with tented foil. Use more olive oil as necessary to avoid burning. To make the gravy, melt butter in the skillet. Whisk in flour until lightly browned, about one minute. Gradually whisk in beef broth and cook, whisking constantly, until slightly thickened, about 1-2 minutes. Stir in sour cream. Season with salt and pepper, to taste. Serve immediately, garnished with parsley and mashed red potatoes on the side, if desired. Swedish food is my favorite food ever! And when it comes to meatbals, you can't get much better than that. Than you for this recipe!